Automated Precision Inc. is a global company providing advanced dimensional metrology solutions for industry. 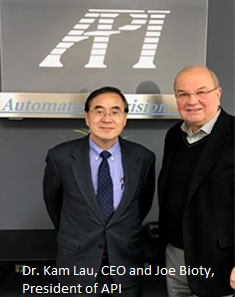 Founded by Dr. Kam Lau in 1987, API has pioneered progressively higher standards of accuracy through its 30 years of operation by commercializing innovative hardware and software that offer advanced digital information to its customers. API supplies a comprehensive range of manual and automated dimensional inspection and 3D scanning products and software. Products include but not limited to 3D machine vision solutions, laser tracking, robot guidance, coordinate measuring machines, laser scanning, and advanced analysis software. Many of the world’s leading automotive, aerospace, energy, machine tool, and CMM manufacturers rely on API’s metrology solutions to assist in managing their complex manufacturing processes to improve quality, shorten product launch times, and reduce costs. API also provides dimensional inspection and metrology services including major project consulting, instrumentation calibration, machine tool error mapping, contract measurement including tool building, 3D CAD modeling, and reverse engineering. 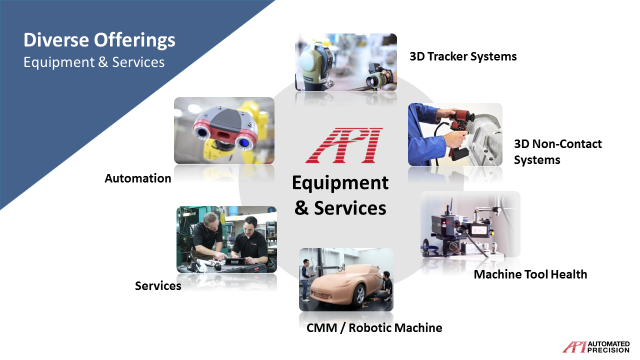 Headquartered in Rockville, Maryland (All Manufacturing, Finance & R&D), API has subsidiary operations in two other USA locations; Newport News, VA (Measurement Services) and Plymouth MI (Precision Automation Center). API also has wholly owned subsidiaries providing pre/post sales, services, equipment repair and calibration in Heidelberg, Germany, San Jose, Brazil, Beijing & Singapore China, and Pune, India. 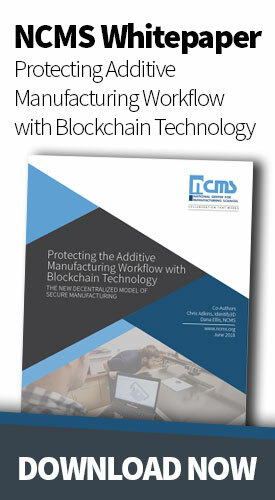 The company also has major representatives in Russia, Japan, Korea, Australia, South Africa, Israel, and southeast Asia. API invented the original laser tracking interferometer and holds the basic patents on the tracker technology. In 1989, API licensed the tracker technology to Leica, Aaura, Switzerland and aided Leica over ten years in developing the first commercial laser tracker. To date, thousands of Leica Trackers utilizing API technology have been sold worldwide. It was not until 2001, that API introduced under its own name the next generation of laser trackers in a much smaller and portable package for commercial use. 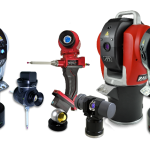 Since 2001, API has introduced 4 generations of laser tracker improvements including advanced artificial intelligence, a host of hand-held and machine mounted accessories for the laser tracker, and user friendly calibration/automation software making these instruments more flexible and dependable for users. 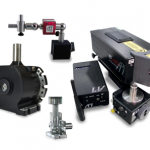 Machine Tool Health – API’s innovative patented, 5/6D Laser interferometer systems simultaneously measure linear straightness as well as pitch, yaw and roll. 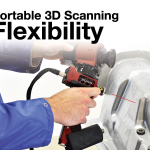 Use of the “XD systems” reduces the time required for machine tool or CMM calibration from days down to 2-3 hours. API also produces advanced spindle dynamic and thermal analysis systems called “Spindle Analyzer”, and a complete thermal and geometric error mapping (“Volumetric Error Compensation”) system for real-time compensation of CMM or CNC machining centers. Finally, API also offers a unique rotary and tilt axis measurement and calibration system called “Swivel Check”. Using a laser tracker ensures total accuracy of the system by circumventing the inaccuracy of the robot. 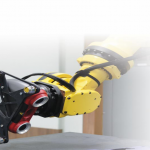 SFIS eliminates human intervention and repetitive inspection tasks in your manufacturing process. Non-Destructive Inspection (NDI) for repair, maintenance & reverse engineering can be performed utilizing API’s precision I Scan2+ and an API Laser Tracker. Large volume parts can now be inspected with ease and flexibility on the shop floor. Measurement Services – In 2008, API launched its highly successful Global Services Division. API Services specializes in three-dimensional measurements and high-value metrology solutions. API Services is home to some of the world’s leading three-dimensional metrology technical experts, with many certified by the Coordinate Metrology Society. 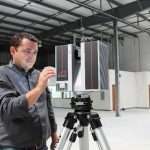 With over 200 years of combined metrology experience, API’s measurement specialists are the authority on the latest three-dimensional measurement systems such as laser trackers, digital photogrammetry, 3D laser scanning systems and other integrated systems. 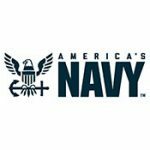 Our core personnel come from the same industries we serve: aerospace, automotive, shipbuilding, machine tool and energy. The machine tool calibration team is world-class, offering the latest machine compensation methods, including volumetric solutions. Supporting our technical experts are API’s Engineering Team with 25 people having multiple Ph.D., Master’s and Bachelor Degrees. Automated Precision offers metrology products, dimensional inspection and services including consulting, calibration, machine tool error mapping, contract measurement, 3D CAD modeling and reverse engineering. The continuous integration of the most advanced measurement technologies available today and superior customer support are the primary objectives of API Services. CMM & Robotic Machines – API manufactures a complete line of high precision Horizontal Arm Coordinate Measuring Machines (CMM’s) and an advanced Robotic Machine featuring a 5/6 axis high speed spindle capable of light milling, drilling, measuring and adaption of an area dimensional surface non-contact scanner. 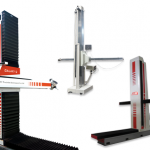 These CMM’s are featured in both single and dual columns and are designed to be highly customizable.